I'm so pleased to see drugstore/high street brands dipping their fingers into the brow world. Eyebrow products used to be a thing of high end, or difficult to get hold of in the UK, but thanks to Anastasia and other brow brands we can now see our favourite drugstore brands selling dupes! This product caught my eye because not only does it have a typical pencil end, but it also has an end which has powder on it. The product says that you are supposed to define your brows with the pencil end, and then fill with the powder. I got mine in the shade 'Dark Blond', as the rule of thumb is to go 2-3 shades lighter than your natural hair colour. I first used this product and immediately the end of the pencil snapped off, I was a little annoyed but carried on as it may have been a one off, which after continued use it was. I initially noticed that the pencil is more of a waxy texture, so there's not a lot of colour pay off, but really that's what you want from a brow product. Once this product is on the brow hairs, it does almost glue them down, but I think this is because you are supposed to follow it up with the second step, filling them in with the powder. This was such a strange concept to me, because I do either/or; fill in my brows with a pencil, or fill in my brows with powder. I was actually quite impressed with how it turned out, my brows were filled but weren't fake looking, and because of the powder formula to fill them in, it was easy to blend out with my finger anywhere that might have looked a little too strong. Overall, I would definitely recommend you give this a try if you haven't already. I'm not sure it's enough to make me want to run away from my Anastasia Brow Wiz, but it's certainly a great product that I would purchase again. And for £5.99, you can't complain really can you?! What are your thoughts? Would you buy this? 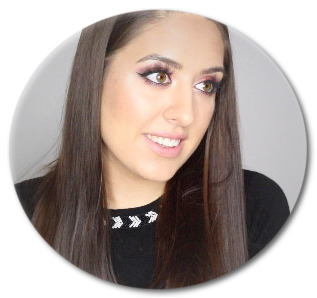 My name is Laura, and I'm a beauty blogger and vlogger from the South West of England. I briefly started in 2014, and now blogging and YouTube has quickly become my little getaway, and a place to share my love for all things beauty and fashion. This has always been a strong passion of mine, from watching my mum apply her makeup in front of the mirror every morning, to doing it myself, I've always found it like my little sanctuary of happiness in the first hours of the day. Thanks for stopping by, and don't forget to let me know you were here by leaving a comment. Those posts with an "*" present are sponsored content, I will only agree to sponsored content if it is something I believe in and I am happy to share with my followers. Sponsored content will never influence my opinions. I have always been a magpie for nail polish (do you call it polish or varnish?! ), and since Boots started selling Essie I have had to make difficult decisions on which colours to pick up, and which ones to walk away from and shed a tear for. Since purchasing these three beauties, they are all I have been reaching for. Left to right we have Chocolate Cakes, Sole Mate and Buy Me A Cameo. The first two can look very similar in certain lights, as both have a purple brown tone in them. However, Sole Mate (in the middle) definitely has more of a Burgundy colour to it, whereas Chocolate Cakes (on the left) has more of a brown tone to it. As for Buy Me A Cameo (on the right), this little beauty is what I would call Rose Gold in a nail polish. It definitely leans more towards gold than rose gold, but catch it in the right light, or at the right angle and hello beautiful rose gold goodness. I apply these straight out of the bottle onto the nails, and the skin, and all of them you could definitely get away with one coat in a hurry, but two give the perfect opacity. And the lasting power of these actually surprises me, they last at least 5 days without a chip, impressive! These are definitely my nail colours for the autumn. What colours are you loving to wear? This was advertised as their newest mascara, and I particularly liked the shape of the wand. The mascara comes with 7ml of product, at the cost of $24.00 (£14.92), which I don't think is that unreasonable for a high end mascara. What does the company claim? 'Add volume, length, curl, and precision to lashes. This lash-defining product lays on color using an exclusive micro-defining complex that envelops the surface of lashes with ultrablack pigments for far-away impact' and I have to say, I don't disagree! I apply this mascara to my lashes after curling them (for a long time) with my Tweezerman Eyelash curlers. The pigmentation is great, my lashes are instantly black, and the formula dries in just the right amount of time to hold the curl, but allow enough time to still apply a second coat. Being a waterproof mascara, the wear time of this product is ongoing, I haven't once had it smudge on me, and it doesn't come off until I remove it myself, however, this is normally what you find with a waterproof mascara. All in all, I am impressed with this mascara, however, I'm not shouting from the roof tops. It does exactly what my favourite Maybelline mascara's do, but costs over £5 more. So if you ask me, save the money and buy the Maybelline equivalent (The Rocket). Let me know your thoughts on this mascara? Or maybe the Maybelline The Rocket mascara?